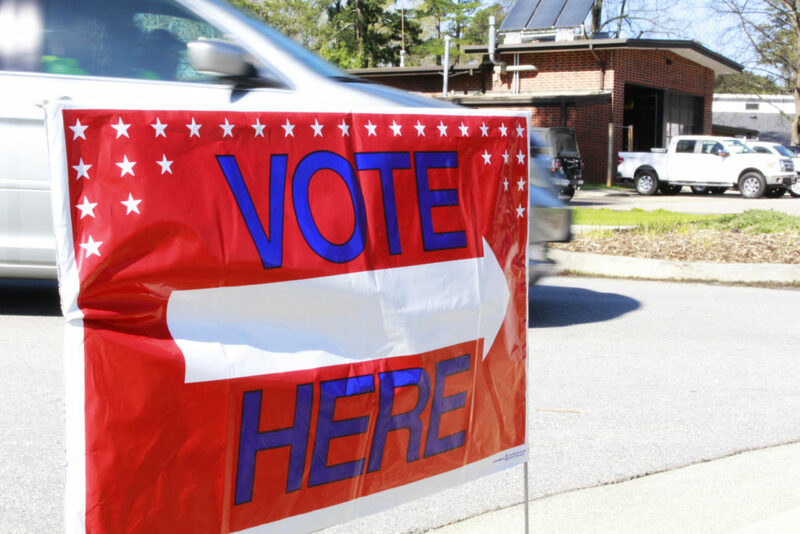 A last-minute change to Senate Bill 325 — which originally would have lowered state personal and business income taxes — instead became the vehicle to change early voting hours and days. The move led to a dustup among Republicans and Democrats on the state elections board, which played out in an emergency meeting by teleconference Thursday, June 14. Democrat Andy Penry, chairman of the Bipartisan State Board of Elections and Ethics Enforcement, bristled at the amended version of S.B. 325, by House Elections and Ethics Law Committee Chairman David Lewis, R-Harnett, renamed Uniform and Expanded Early Voting Act. Penry said the board didn’t know the bill would be amended and put on a fast track for adoption, though he acknowledged the General Assembly doesn’t have to tell the board what lawmakers plan to do. The amended bill provides 17 days of early voting, but eliminates the last Saturday before an election — a traditionally busy day — and replaces it with a Wednesday. It requires every early voting site to be open from 7 a.m. to 7 p.m., unlike the current law, which lets counties open some sites while keeping others closed the same day. At the meeting, Penry sought approval for board attorney Josh Lawson to send a letter to General Assembly leaders requesting advance notice of new bills affecting the board’s enforcement authority. Penry said lawmakers should seek board members and staff’s expertise. The board voted 5-2 on party lines to send the letter. Democrats Penry, Vice Chairman Joshua Malcolm, Stella Anderson, and Valerie Johnson were joined by independent Damon Circosta in the majority. Republicans Stacy Eggers and John Lewis dissented. “It is the job of this board, and more importantly our staff, to enforce, and from time to time interpret those statutes. We’re responsible for enforcement of whatever law the General Assembly passes,” Penry said. “It’s my sense that it would be in the board’s best interest to communicate as a board a cordial request that we, and particularly our staff, needs 24 hours’ notice of a bill before it’s submitted to the public,” Penry said. Eggers warned the board could overstep its authority by weighing into legislative matters. He also worried about public reaction to clashing opinions of board members. Eggers said it’s important for the board to apply election laws in a neutral fashion and not take political stands on proposed legislation. He questioned whether the board should get notice of every elections-related bill because most never gain traction. John Lewis said the meeting was unnecessary. S.B. 325 had been debated in the House Rules Committee on Thursday morning before the board convened, and Rep. Lewis informed Penry of the change by email Wednesday before announcing it publicly. Penry claimed the email somehow got lost. “We’ve already had comments about the merits of this bill, attacking this bill, attacking the process,” John Lewis said. “You have now injected ourselves into a political discussion, and the politics behind whether or not these bills should pass, or whether any future bills should pass, and that’s going to be damaging to this board’s ability to function,” John Lewis said. Lewis’ proposed legislation “actually invokes the wrong statute. … There are key parts to this that were stricken as a result of NAACP v. McCrory in 2016,” a lawsuit involving early voting, Anderson said. “And here we have an instance where this will significantly change the landscape” on early voting, yet lawmakers failed to seek the Elections Board’s expertise, Anderson said, calling that omission political. Malcolm raised a potential voter suppression issue related to uniform early voting. “The practical effect of that is instead of having 10 early voting locations these small rural communities are going to have to make the difficult decision related to budgetary issues, and they’re going to, in fact, close early stop, not even open one-stop, because they don’t have the money,” Malcolm said. At press time, S.B. 325 was on the House calendar for adoption.